Staten Island residents often think of themselves as the “forgotten borough,” but that may be a good thing in some instances. For example, they have the lowest STD rates of the New York City boroughs. Still, keep yourself safe through regular testing at a clinic near you. If you're looking for cheap std testing clinics in the Staten Island area to get a HIV, Herpes, Chlamydia, Gonorrhea, Syphilis or Hepatitis screening for yourself or your partner, you can get tested today by selecting an option below to find an affordable std test clinic near you. Same day std testing locations also available with results in 1-2 days. Learn more here. What are the STI test options in Staten Island,NY? Each year, the CDC ranks the 70 New York counties (and NYC boroughs) with the most STDs. While the other four NYC boroughs top the list, Staten Island does not appear at all, indicating that its citizens’ sexual health is better than in many places in New York. The HIV rate has been going down, and in 2017 it was 9.8 per 100K people. However, many people with HIV and AIDS died on Staten Island between 2013 and 2017. In general, Staten Island does not have any high-morbidity areas, but the Port Richmond area has the highest rates of bacterial STDs. There are several clinics on Staten Island, including a few charitable organizations that provide free STD testing, but not for all STDs. The Pride Center of Staten Island on Victory Blvd provides confidential and rapid HIV testing. Community Health Action of Staten Island also provides HIV and hep C testing, and you can find them on Bay St. Northwell Health-GoHealth Urgent Care provides STD screenings at several locations. Statistics reported is based on publicly available data sources such as CDC for Richmond County, NY. Data is normalized to accurately report Richmond County STD Breakdown. If you are trying to find how sexually transmitted diseases are affecting Staten Island, they are listed on those for the boroughs. This is due to its smaller size, and close affiliation with nearby municipalities. A brief summary will tell you that the area is in trouble. STDs are problematic throughout the region. You can protect yourself, and it doesn’t require a major change in lifestyle. With 300 plus testing centers, some are private labs, you can’t use the excuse that you don’t have anywhere nearby. 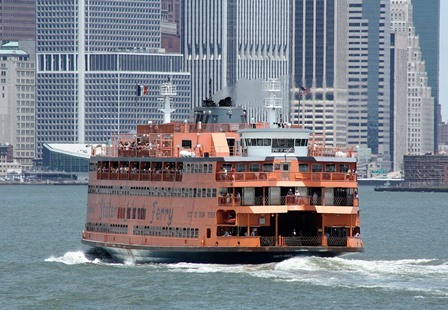 Even if you take the ferry, you’ll still run into sexual health clinics. If you prefer the ease and privacy of a non-public lab, Quest Diagnostics is taking appointments. On a good day, you can be in and out of one of their facilities before the next ferry leaves. It’s hard to beat this convenience. Community Health Action of Staten Island Incorporated can get you enrolled in SNAP, which lowers the test price and get you the results. They do tackle all the risks that residents face so be prepared for lines. Some of which are a result of the food pantry on premise. Along with the commonly known STIs, they will also check for viral Herpes. Staten Island University Hospital probably has a center somewhere close to your residence or workplace. The ages they see vary at each place, along with the services. All offer reproductive health procedures, std screenings, free from fees. Just let them know before you have blood drawn or an oral swab. It will go much smoother at the end. Uninsured residents might want to check out Planned Parenthood. There’s one on Hyatt St. Just make sure you bring paperwork to support your low-income claims or you may be charged the full fee. The sliding scale only applies to testing and some other health services. Calling is advisable as opposed to just showing up, you probably won’t be seen if you do. If you’re in the next state, they have offices there too. Just be cautious, you might not be able to pay less if you aren’t a resident of the area. You might be wondering, “what about HIV testing”? You can get this accomplished at the same time someone is seeing about STDs. Both don’t have to be done simultaneously, but it can make it more convenient. If that is the only virus that has you worried, maybe a rapid blood test is the best bet. Some Planned Parenthood centers can perform this, but not all. This is something that you’ll want to inquire about. Community Health Action does do rapid testing, and it is occasionally free. If you are positive, they will help you get on your feet. For some, their locations are convenient due to traveling restrictions. Don’t feel left out, they have mobile health units. Managed by Brightpoint Health, check their schedule to see if and when one of their vans might be closer than the clinic. Anyone 14 or older can get HIV testing at Staten Island University Hospital. One is on Bay St. and the other at 392 Seguine Ave. At their clinic on Mason Avenue, conventional and rapid oral tests are available and sometimes free. Private testing facilities can perform most types of HIV tests that include ones for early detection. Anytime you remotely feel like you may have been exposed to the virus, regardless of how silly it might sound to others, get this simple test. The sooner you know, the better able you’ll be able to return to your life or start treatment. Sometimes finding out that you’re HIV positive in its preliminary stages is the difference in how your quality of life continues. Don’t keep expecting the schools to educate students on their changing bodies and sexual health. It will be awhile before anything other than abstinence is welcomed in the classrooms. Parents don’t have to go into a panic constantly expecting children to start asking questions, they have resources outside of the home they can use. Staten Island and its neighbors haven’t turned a blind eye to the health predicament, they launched their own education programs and campaigns. Just head over to the city, you can’t miss the billboards and graffiti art in the subway stations. Some of it has even made it across the harbor. It urges everyone to make time and get themselves tested. CHASI runs several community based seminars that work to motivate people to get informed and screened. Staten Island Univ. Hospital has youth programs that help them learn and access their risks. PP and others like them pass out fliers and brochures to anyone that will accept them. It’s also easy to find free condoms at any of these places.